In South Africa, No Crying Over 'Spilt Milk'? Kopano Matlwa's provocative novel focuses on the "Born Free" generation — those who came of age in the post-apartheid era. The author speaks to Tell Me More as part of its look at literature from nations on the rise: Brazil, Russia, India, China and South Africa. Tell Me More explores literature from BRICS nations: Brazil, Russia, India, China and South Africa. In South Africa, No Crying Over 'Spilt Milk'? South African writer Kopano Matlwa is also a physician. Writing, she says, "was really just a hobby, and I am really grateful to God that it turned out to be more than that." 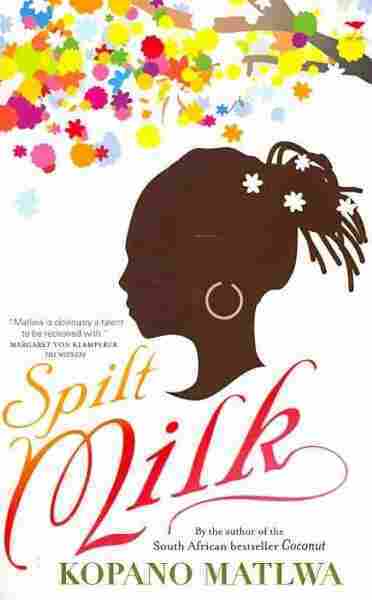 "After" may be the most important word in South African writer Kopano Matlwa's novel Spilt Milk. The book focuses on the "Born Free" generation — those who came of age in the post-apartheid era, which began 18 years ago. As the first passage of the book highlights, this generation's story begins "After all the excitement, after the jubilation, after the celebrations..."
A Dream Or A Lie? In a conversation with Tell Me More host Michel Martin, Matlwa she will never forget the euphoria of that historic moment. "I was 9 or 10 years old in 1994 when the new democratic government was elected and Mandela was president, and it was such an exciting time, and there were so [many] prospects. We were the 'Rainbow Nation,' and kind of the 'golden children' of Africa." She remembers her parents telling her that her life would be so different from their own. But soon, Matlwa and other South Africans started to feel "deceit and greed and corruption" creeping into society, and she began to wonder "whether the dream was a lie." It was this disappointment that led her to write Spilt Milk. The novel is centered on Mohumagadi, the successful black principal of her own "School of Excellence," and her relationships with her students and with a white priest who has fallen on hard times. Matlwa says these characters and relationships symbolize the political and personal disappointments she and other South Africans endure. "It does represent the love lost between white and black South Africa, and the promises that we all made to each other in 1994 that none of us kept. "We would never admit to each other that we actually need each other," she says, "that we can't build this country without each other." In addition to her work as a writer, Matlwa is a physician. 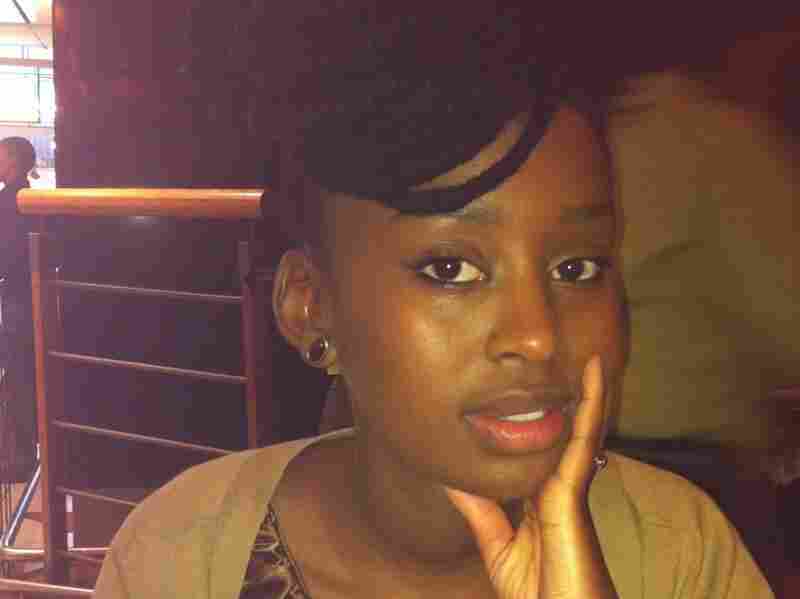 She regularly sees South Africa's inequalities in the country's hospitals. "It's shocking the extent of poverty in a very wealthy country ... and we can't keep using the excuse of being a young democracy for very much longer." She also acknowledges that the current trouble in the country's platinum and gold mines "demonstrates how ... people are so dissatisfied, let down and disappointed. A lot of promises were made post-apartheid, and perhaps they were unrealistic, but they were made, and people are now fed up." Matlwa points out that medicine has always been her first love. Writing "was really just a hobby, and I am really grateful to God that it turned out to be more than that." She borrows the words of another doctor who was also a famous writer to explain her twin careers. "Anton Chekhov said it best: 'Medicine is his wife and writing his mistress.' I don't think I'll ever choose between the two," she explains. Apartheid may have ended, but Matlwa is acutely aware that political inequality has only given way to economic inequality in contemporary South Africa. "What's made us dig deep and ask ourselves hard questions is that this inequality has slightly worsened post-apartheid, and it's always been easy to be the victim of apartheid, to blame everything on apartheid, but now we have to ask ourselves hard questions on what we are doing as a country." Honesty is important to Matlwa, as she does not feel that there is enough of it in her life or in her country. "The conversations I'd have in a room with black friends would change if a white person walked into the room. ... We live apart, we live around each other, and we've learnt to be tolerant. We've learnt words we're no longer allowed to use. ... We've got affirmative action in place, but ... I think there's a lot of anger in the country," she says. "There's a lot of hurt and disappointment, and I think we just need to start talking."